N 26° 58' 12" and E 88° 22' 51"
Mangpu in Darjiling (West Bengal) is a town in India about 691 mi (or 1,112 km) east of New Delhi, the country's capital city. Current time in Mangpu is now 06:38 AM (Monday). The local timezone is named Asia / Kolkata with an UTC offset of 5.5 hours. We know of 8 airports near Mangpu. The closest airport in India is Bagdogra Airport in a distance of 20 mi (or 33 km), South. Besides the airports, there are other travel options available (check left side). There is one Unesco world heritage site nearby. The closest heritage site is Sagarmatha National Park in Nepal at a distance of 113 mi (or 182 km). When in this area, you might want to pay a visit to some of the following locations: Gangtok, Ilam, Jalpaiguri, Samtse and Xarsingma. To further explore this place, just scroll down and browse the available info. Let's start with some photos from the area. 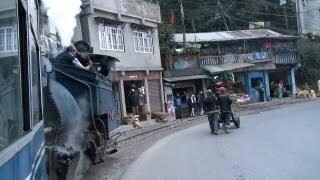 The heritage toy train ride of Darjeeling ! Petit train à vapeur historique entre et Darjeeling et Siliguri en Inde... Images Michel Pellé... http://www.tvmountain.com. 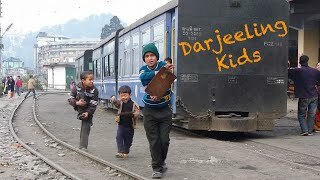 The Darjeeling Himalayan Railway, also known as the "Toy Train", is a 2ft narrow gauge railway that runs between New Jalpaiguri and Darjeeling in West Bengal. Built between 1879 and 1881, the railway is about 78 kilometres long. Its elevation level varies from about 100 metres at New Jalpaiguri to about 2,200 metres at Darjeeling. Located at 27.045, 88.2672 (Lat. / Lng. ), about 9 miles away. Teesta Bazaar is a small town located 4 km downstream from the town of Melli on the right bank of Teesta River in Darjeeling district of the state of West Bengal, India. It is a road junction on Siliguri-Gangtok National Highway NH31A and the roads from Darjeeling and Kalimpong join NH31A near here. The national highway NH31 crosses Teesta River here. 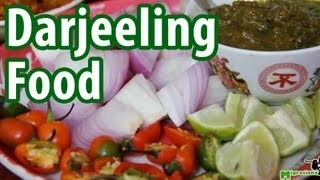 Darjeeling is on the west of the river and Kalimpong is on the east of the river. Located at 27.06, 88.43 (Lat. / Lng. ), about 7 miles away. The Coronation Bridge, also known as the Sevoke Bridge, in Darjeeling district of West Bengal, India, spans across the Teesta River, connecting the districts of Darjeeling and Jalpaiguri. National Highway 31 runs across it. It was named to commemorate the coronation of King George VI in 1937 and was completed in 1941 at a cost of Rs 4 lakhs. The foundation stone of the bridge was laid by John Anderson, the-then Governor of Bengal in 1937. Located at 26.9029, 88.4733 (Lat. / Lng. ), about 7 miles away. 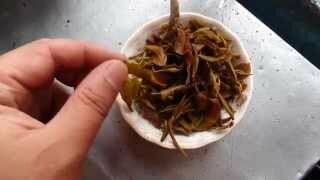 Lebong is a valley about 1,000 feet below Darjeeling town, West Bengal, India. It is about 8 km from the Mall, the central location of Darjeeling. The valley is noted for its race course. The Lebong race course is visible from the town of Darjeeling. Lebong is also the place where initial tea plantation of the Darjeeling hills started in 1850s. It is also famous for Gorkha stadium located there . Located at 27.0594, 88.2786 (Lat. / Lng. ), about 9 miles away. Senchal lake, located 10 km to the south-east of Darjeeling, is the main reservoir of potable water for the town of Darjeeling, India. The lake is located at an altitude of 8,160 ft atop a hill. The hill also has one of the highest golf courses in the world. Senchal is a favourite picnic spot. A tourist lodge at Senchal provides accommodation to tourists. This lake is a part of the Senchal Wildlife Sanctuary. Located at 26.9938, 88.2652 (Lat. / Lng. ), about 7 miles away. Padmaja Naidu Himalayan Zoological Park (also called the Darjeeling Zoo) is a 67.56-acre zoo in the town of Darjeeling in the Indian state of West Bengal. 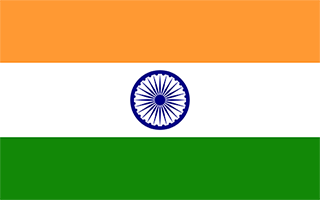 The zoo was opened in 1958, and an average elevation of 7,000 feet, is the largest high altitude zoo in India. It specializes in breeding animals adapted to alpine conditions, and has successful captive breeding programs for the Snow leopard, the critically endangered Himalayan wolf and the Red panda. Located at 27.0586, 88.2544 (Lat. / Lng. ), about 10 miles away. Lloyd's Botanical Garden, or Darjeeling Botanical Garden, is a botanical garden in Darjeeling in the Indian state of West Bengal. Located at 27.0446, 88.2629 (Lat. / Lng. ), about 9 miles away. Tiger Hill is the summit of Ghoom, the highest railway station on the Darjeeling Himalayan Railway – a UNESCO World Heritage Site. 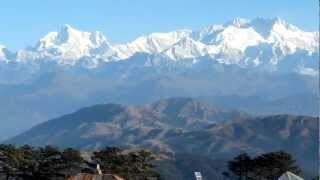 It is famous for the panoramic views it offers of Mount Everest along with Kangchenjunga. 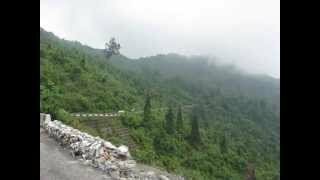 It is 11 km from the town of Darjeeling and can be reached either by jeep or by foot through Chowrasta, Alubari (incidentally the oldest tea plantation in Darjeeling) or Jorebangla and then climbing up the incline to the summit, which takes about 2 hours at an easy pace. Located at 26.9948, 88.2854 (Lat. / Lng. ), about 6 miles away. 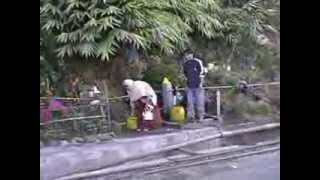 Cart Road is a census town in Darjeeling district in the state of West Bengal, India. Located at 26.94, 88.31 (Lat. / Lng. ), about 5 miles away. Raj Bhavan (Hindi for Government House) of Darjeeling is the Summer residence of the Governor of West Bengal, It is located in the city of Darjeeling, West Bengal. Located at 27.0514, 88.2635 (Lat. / Lng. ), about 9 miles away. Darjeeling (Lok Sabha constituency) is one of the 543 parliamentary constituencies in India. The constituency centres on Darjeeling in West Bengal. While six assembly segments are in Darjeeling district, one assembly segment is in Uttar Dinajpur district. Located at 27.039, 88.264 (Lat. / Lng. ), about 9 miles away. Chidam is a small town in the South Sikkim district of the Indian state of Sikkim. Located at 27.12, 88.45 (Lat. / Lng. ), about 11 miles away. Manjhitar is a small town in the South Sikkim district of the Indian state of Sikkim. The Sikkim Manipal University is situated here. Located at 27.1167, 88.3167 (Lat. / Lng. ), about 11 miles away. Located at 27.0167, 88.2472 (Lat. / Lng. ), about 9 miles away. Located at 27.0458, 88.2678 (Lat. / Lng. ), about 9 miles away. Takdah Cantonment is a settlement located in Darjeeling district, West Bengal, India. It is one of the upcoming tourist centres of the Darjeeling hills. Located at 27.0333, 88.3667 (Lat. / Lng. ), about 4 miles away. Southfield College was founded as Loreto College in Darjeeling in August 1961 as a women's college. At the request of the government of West Bengal, the Irish Branch of the Institute of the Blessed Virgin Mary, the Darjeeling Loreto Educational Society agreed to take care of its management. However, due to the lack of personnel, the Loreto nuns were compelled to hand over the college to the government of West Bengal, hence to be run as Southfield College. Located at 27.0477, 88.2678 (Lat. / Lng. ), about 9 miles away. 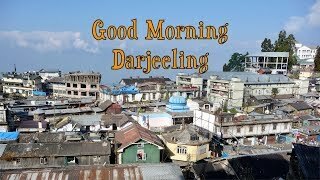 Darjeeling Pulbazar (community development block) is an administrative division in Darjeeling Sadar subdivision of Darjeeling district in the Indian state of West Bengal. Lodhma, Darjeeling and Pulbazar police stations serve this block. Headquarters of this block is at Bijanbari. Pattabong Tea Garden is a census town in this block. Located at 27.0902, 88.2216 (Lat. / Lng. ), about 13 miles away. Rangli Rangliot (community development block) is an administrative division in Darjeeling Sadar subdivision of Darjeeling district in the Indian state of West Bengal. Rangli Rangliot police station serves this block. The headquarters of this block is at Takdah. Located at 27.0295, 88.3569 (Lat. / Lng. ), about 4 miles away. Kalimpong I (community development block) is an administrative division in Kalimpong subdivision of Darjeeling district in the Indian state of West Bengal. Kalimpong police station serves this block. Headquarters of this block is at Kalimpong. Located at 27.06, 88.47 (Lat. / Lng. ), about 8 miles away. 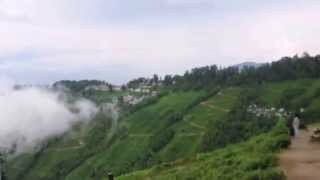 Kurseong (community development block) is an administrative division in Kurseong subdivision of Darjeeling district in the Indian state of West Bengal. Kurseong police station serves this block. Headquarters of this block is at Kurseong. There is one census town in this block: Cart Road. Located at 26.88, 88.28 (Lat. / Lng. ), about 9 miles away. The Eastern Institute for Integrated Learning in Management (EIILM) is an educational institution located in South Sikkim district in the Indian state of Sikkim. Located at 27.1055, 88.3236 (Lat. / Lng. ), about 10 miles away. These are some bigger and more relevant cities in the wider vivinity of Mangpu.